Categories: Books, My Books, Reading, Self-Publishing, Writing | Tags: author, book, books, fantasy, fiction, paranormal romance, Publishing, self-publishing, write, writer, writing | Permalink. 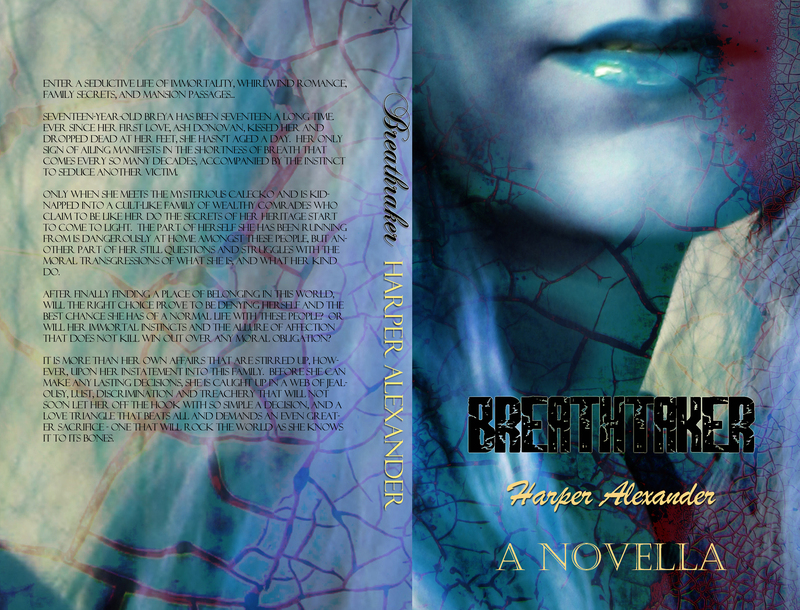 Here’s the blurb for Breathtaker! Seventeen-year-old Breya has been seventeen a long time. Ever since her first love, Ash Donovan, kissed her and dropped dead at her feet, she hasn’t aged a day. Her only sign of ailing manifests in the shortness of breath that comes every so many decades, accompanied by the instinct to seduce another victim. Only when she meets the mysterious Calecko and is kidnapped into a cult-like family of wealthy comrades who claim to be like her do the secrets of her heritage start to come to light. The part of herself she has been running from is dangerously at home amongst these people, but another part of her still questions and struggles with the moral transgressions of what she is, and what her kind do. After finally finding a place of belonging in this world, will the right choice prove to be denying herself and the best chance she has of a normal life with these people? 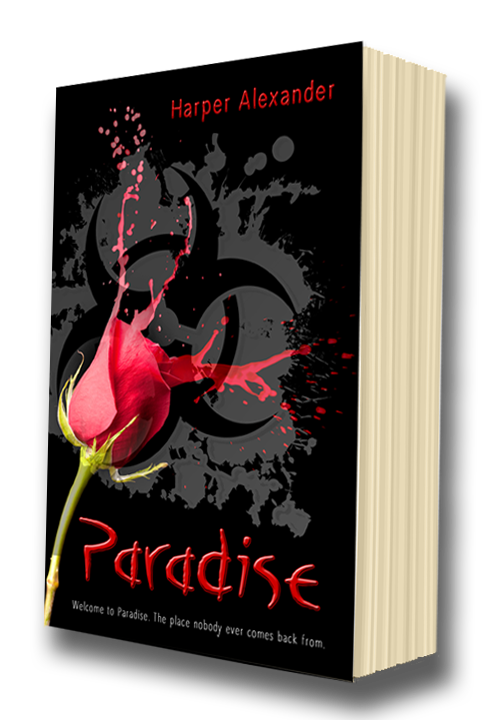 Or will her immortal instincts and the allure of affection that does not kill win out over any moral obligations? It is more than her own affairs that are stirred up, however, upon her instatement into the family. Before she can make any lasting decisions, she is caught up in a web of jealousy, lust, discrimination and treachery that will not soon let her off the hook with so simple a decision, and a love triangle that beats all and demands an even greater sacrifice – one that will rock the world as she knows it to its bones. Categories: Books, My Books, Reading, Self-Publishing, Writing | Tags: author, book, books, fantasy, fiction, paranormal, Publishing, romance, self-publishing, write, writer, writing | Permalink. I thought I’d write a little bit about what inspired me to write this month’s project, Breathtaker. For a long time I’ve been wanting to try my hand at writing modern (or contemporary) fantasy, and/or paranormal romance, because those are two things that are hot on the market and it’s what agents have advised me to do. So I finally decided to just go ahead and do it, even though it’s not necessarily my thing. Coincidentally, I’ve also been wanting to try writing novellas for awhile, because they’re shorter and easier to finish and it would be nice to be finishing more stuff and getting it out there at a faster rate. So, what better way to try my hand at contemporary fantasy and paranormal romance than to combine these projects? Not only would it be a less daunting task as a novella, but since it’s also not my favorite thing in the world, it seems the perfect way to write it and be done with it. And if it gave me difficulties along the way, I would be less likely to give up on the commitment because…well…because it’s not that much of a commitment. I wanted to try paranormal romance, but I really have no interest in spewing another vampire/werewolf story into the pool, and faeries and ghosts and angels have all been done as well (although I do have another novel that kind of does the angel thing). Also, the pattern of pursuing immortality or an immortal being therein in the name of hopelessly smitten/blind love is becoming rather tiresome as well. (Don’t get me wrong; I’m a hopeless romantic. I’ll probably actually read most books like that. I just…I just can’t bring myself to add to the pot without questioning my creativity and authenticity, and whether or not I’m a writer or a groan-worthy wave-rider.) What happened to good ol’ down-to-earth storylines found in such works as Tuck, Everlasting? (As you can see, this is why I don’t try to write paranormal romance to begin with. They’re not supposed to be down-to-earth.) In any case, if it wasn’t so overdone I would probably be all for it, but because it is, I felt very compelled to write a paranormal romance that differed a bit from the usual pattern. Thus were born the ‘Breathtakers’, (hence the title of the book) who are not vampires, or werewolves, or faeries, or angels, or ghosts or what-have-you. They are their own thing. A new creation. As can probably be surmised from the sound of it, they…breathe the life out of people, conveniently (for the genre) via kiss. Then again, how else would you breathe the life out of someone? Through their feet? Not likely. So that sets the stage for a nice ‘I-love-you-but-I-can’t-kiss-you-or-else-I’ll-die’ scenario (or as may be the case instead ‘I-love-you-but-you-can’t-kiss-me-or-YOU’LL-die’). So, that detail is less than mainstream, but still follows the whole ‘immortal’ theme, as these beings are basically immortal because they can feed their lifespans with the life of others any time they so please. And I didn’t want to write a story about someone who falls madly in love with one of these creatures and blindly follows them into their murderous life without thinking anything of it, determined to beat the odds, so I decided to write from the perspective of one who wishes to give up immortality, to be done with it, to get away from it (perhaps for the sake of love in the opposite extreme). But of course that’s easier said than done and all that good stuff, so we have a nice little premise of conflict on our hands. Whatever. It was fun, and I like it, and now I know I can do it, and I’m proud that I did it without conforming to any vampire craze. We’ll see how it goes over with readers. Categories: Books, My Books, Reading, Self-Publishing, Writing | Tags: author, book, books, fantasy, fiction, literary, paranormal, Publishing, romance, self-publishing, write, writer, writing | Permalink. It is finished! And with 361 words to spare! By which I mean, I managed to make my story shut the heck up 361 words shy of the maximum word-count for a novella (at least according to the source I looked up), and seeing as this was a strict novella project, and my first, I was not willing to accept failure. Unfortunately, the editing process will probably add those 361 words, at which point I will no longer be able to scream in triumph. In fact, I’m not quite sure what I’m going to do. This WILL BE a novella, dag nabbit. I don’t know, but I’m totally excited about this book. Reading back over it, I actually really like it. THAT HAS NEVER HAPPENED WITH ANY OF MY MODERN WORK BEFORE. This is great! If nothing else, I am absolutely thrilled with it just for that, so perhaps I will let it slide that it decided it wanted to come in a few words over the maximum word count. In any case, it’s finished, and an enthusiastic 10,000 words above the goal I originally set for it. Sigh. Who else can relate to their stories (and characters) tending to have minds of their own? Categories: Books, My Books, Writing | Tags: author, book, books, fiction, literary, literature, novella, Publishing, self-publishing, write, writer, writing | Permalink. I surpassed 30,000 words today for my proposed 30,000 novella Breathtaker. It’s a little late now, but I’m realizing I might benefit from seeking some advice on pacing a shorter piece of work, and how one should go about making sure the necessary development is present without dragging out the length of the story. If anyone here has experience writing novellas, I would love to hear what you do to give your characters and plot their due development in a more cloistered setting. So, while I have met my quota for the month, I do not yet have a product ready to release, and can only hope I manage to even finish writing the thing within the month, as it has yet to announce its own finish line. I’m really hoping my shortest-proposed work yet does not prove to be the project that dashes my perfect record of writing a book-a-month through the heart. I did get the blurb written, though, which usually isn’t something that happens until the book is finished, so that’s something. I’ll be releasing that here sometime in the near future. Categories: Books, My Books, Self-Publishing, Writing | Tags: author, book, books, fiction, literary, literature, Publishing, self-publishing, write, writer, writing | Permalink. So today, I have a few progress issues to discuss. First, WordPress seems to be glitching and is not letting me update my widgets right now, so I can’t update my progress bar to reflect how much progress I’ve made on my project! Frustrating. 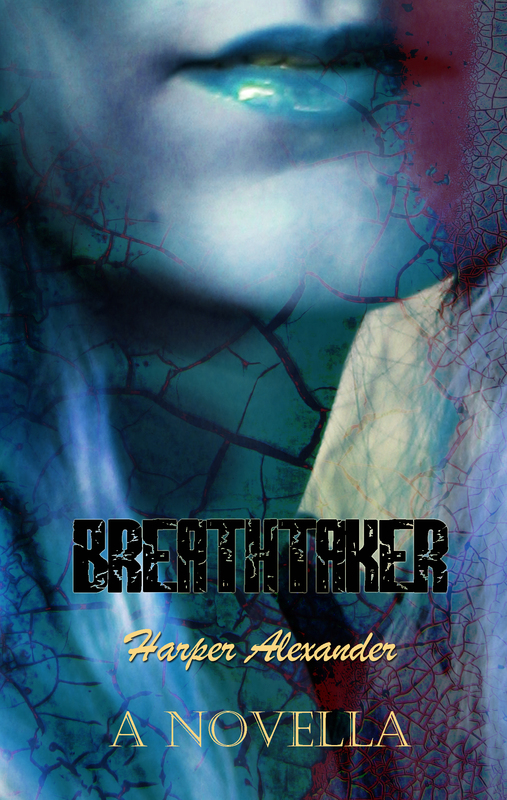 It reads 76% right now for my novella, Breathtaker, but I reached 85% today. However, that’s another issue. While I’ve reached 85% of my proposed goal of 30,000 words (having reached 25,500 words), I’m realize there’s no way I’m going to be finished in another 4,500 words. The story just isn’t going to wrap up in time. So, while I’ve been reaching and often doubling my word quota each day and gleefully thinking this novella business is a piece of cake… I’m realizing my writing style has become such that it is not easy for me to tell a story so succinctly. I just naturally put more development into them now from the beginning. I am geared to write novels, and so I can’t just leave a lot of that stuff out or I feel like I’m…leaving stuff out. How am I supposed to build relationships or even establish the characters as unique, developed people at all in so short a time? I’m hoping I can at least rein it in below 40,000 words, in which case I’ll still feel as though it has sustained a decent novella status. Any higher and I’m afraid I’ll decide I might as well add a few thousand words and make it a publishable novel. I might just do that anyway, except I don’t want the pressure of making the sequels novels. So I’m really trying to feel out the art of balancing everything that needs to go into a story but keeping it short, right now. But I do still love how easily this book is coming, and am very excited about the prospects of successfully writing something modern. Regardless of length, I’m having a lot of fun! Who knew it was possible for me and ‘modern’ to get along so well. Categories: Books, My Books, Self-Publishing, Writing | Tags: author, book, books, fantasy, fiction, literary, literature, Publishing, self-publishing, write, writer, writing | Permalink. I was feeling as though I should wait until I’m further through writing Breathtaker before revealing the cover, but today I will reach 20,000 words, and I just realized that’s technically 2/3 of the way through, if I’m aiming for 30,000 words total. I don’t feel like I’m that far through the story itself, but I have yet to determine if that’s just because I’m not used to writing things this short or because the story actually is going to drag on past my mark and end up…a respective novel after all. We’ll see. Hopefully it will all just fall into place around 30,000, in which case I AM 2/3 of the way done, and since that’s my goal, I figure it’s safe to go ahead and reveal the cover. The wordcount is coming along so swiftly anyway, that regardless the book should be done in no time. So! The cover! This is one of my favorite covers so far. I’m so excited! Categories: Books, My Books, Self-Publishing, Writing | Tags: art, book, books, cover, fantasy, fiction, literary, manipulation, photo, photomanipulation, write, writer, writing | Permalink.